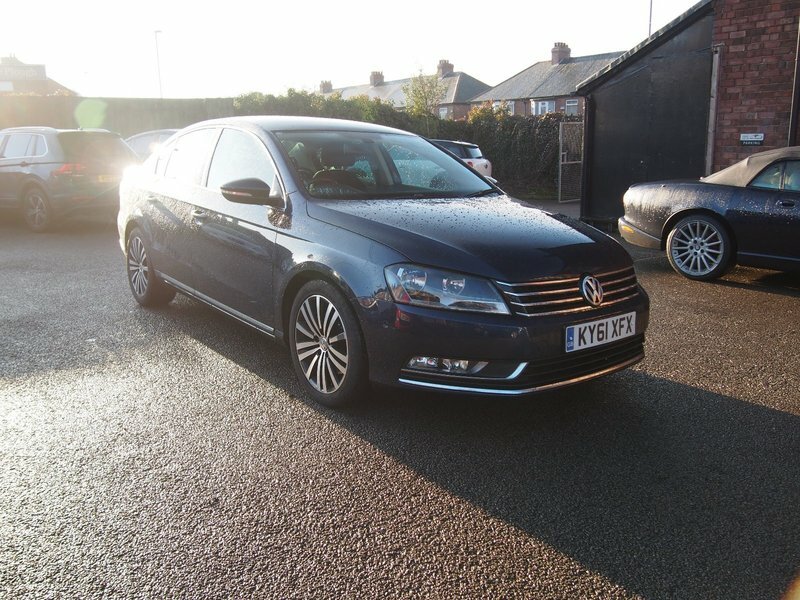 SPORT TDI BLUEMOTION TECHNOLOGY £30 YEAR TAX ! GR8 SPEC ! FULL VW HISTORY ! 99% FINANCE APPROVAL ! 99% FINANCE APPROVAL ! 2 KEY'S, £30 YEAR TAX ! FULL VW SERVICE HISTORY ! LOOK AND DRIVES FANTASTIC EXCELLENT COLOUR COMBINATION ! MOT EXPIRES 14/11/2019 ! OIL SERVICE DONE ! 12 MONTHS AA BREAKDOWN COVER ! GREAT MPG RETURN !, Upgrades - RNS 510 DVD Touch Screen With Nav System, Metallic Paint, Parking Assist And Sensor Front And Rear, Full service history, Excellent bodywork, Black Cloth interior - Excellent Condition, Tyre condition Excellent, Standard Features - 5in Colour Touch-Screen, Air-Conditioning - 2Zone Climate Control, Alarm with Interior Protection, Alloy Wheels - 17in Minneapolis, Bluetooth Telephone Preparation for HFP (Hands Free Profile) Enabled Telephones, Cruise Control, DAB Digital Radio Receiver, Dash-Mounted MP3 Compatible CD Player, SD Card Reader and AUX-in Socket for Connection to an External Multimedia Source. Multi Device Interface (MDI), Including USB and iPod Connection Cables, Drivers and Front Passengers WOKS (Whiplash-Optimised Head Restraints), Electric Windows, Front and Rear, Heat Insulated Tinted Glass from B Pillar Back, Heat Insulating Green Tinted Glass, Hill Hold Function, Multifunction Computer (Highline), RNS 315 DVD Touch Screen With Nav system, Rain Sensor, Telephone Preparation with Handsfree, Tinted Rear Windows, Tyre Pressure Monitoring System, Electronic. 5 seats, Metallic Blue, 1 owner, ALL CREDIT/DEBIT CARDS ACCEPTED, FINANCE ARRANGED, PX WELCOME, £99 DEPOSIT RESERVES THIS CAR, CALL US NOW TO VIEW THIS CAR NOW ON 0191 477 8203 DAYTIME OR 07786 679 880 ANY TIME 7 DAY'S A WEEK. I would like to make an enquiry about your 2011 Volkswagen Passat SPORT TDI BLUEMOTION TECHNOLOGY £30 YEAR TAX ! GR8 SPEC ! FULL VW HISTORY ! 99% FINANCE APPROVAL !